In 2007, after the Virginia Tech shootings happened, I wrote this post. The other day, after the Connecticut elementary school shootings, I couldn’t really bring myself to say much of anything — not here, not on Twitter, not on Facebook. I discussed it briefly with my co-workers and my friends. I read hundreds of posts by others. They ranged from poetic to sympathetic, from inspiring to just devastating. But I couldn’t think of anything to say. You see, as I get older, I feel less and less comfortable expressing my feelings on the internet. But, social media is a funny thing. Because after I didn’t say anything, I started to feel guilty. I spend so much time posting my pretty pictures, writing my silly stories, and sharing my daily outfits, and I don’t want you to think I’m so self-centered that I don’t care about anything else in the world. Because I certainly do. I read a post on Facebook that was (supposedly) a statement made by Ben Stein in response to the tragedy. Then I read on Snopes that it was (mostly) fake. And then I realized why I couldn’t think of anything to say. Because nothing I say in this particular instance is going to make anything any better. Anything I say is just going to add to the noise and make it more difficult for people sort through the clutter and find something meaningful. And then, after awhile, I found something real. I found this post. And now I have something to say. Read this. Read what this mother has to say in response to Friday’s events because what she has to say seems so much more important than what most of the rest of us have to say. Fashion’s Night Out celebrates its fourth anniversary this year, and the event will make its local debut at Peninsula Town Center this September. FNO kicks off New York Fashion Week, and is an event that’s grown on a global scale since its inception in 2009. I’m so flattered to be attending PTC’s first FNO event as a photographer! In return for my services, PTC has offered me two tickets to an exclusive Pre-Event VIP Party at Cinebistro, and I’m so excited to give them away to one of my local readers! The winner and a guest will attend a special meet and greet from 5:00 p.m. to 6:30 p.m. with celebrity stylist Steven “COJO” Cojocaru and receive an FNO tote bag filled with goodies. After that, you’ll join COJO and the rest of the FNO-goers in Town Square for an official FNO kickoff, fashion tips, special prize drawings and more. Then, from 7:00 p.m. until 10:00 p.m., select PTC merchants will roll out the red carpets for shoppers to enjoy in-store promotions and events. To enter, all you need to do is this: Check out Peninsula Town Center’s shopping directory, and tell me which store is your favorite and why. =) This giveaway begins now and ends next Thursday, August 30, 2012 at 12:01 AM EDT. 1. Tweet about this giveaway, and let me know you did in a comment. 2. Share the giveaway on Facebook, and let me know you did in a comment. 3. Follow LDA Press in some way (Bloglovin’, WordPress, RSS, Google Reader, etc. ), and let me know you do in a comment. 4. Follow me (@lisadenoia) on Twitter, and let me know you do in a comment. 5. “Like” Peninsula Town Center on Facebook, and let me know you do in a comment. 6. Follow @peninsulatwnctr on Twitter, and let me know you do in a comment. For more information on FNO at Peninsula Town Center, please check out their special event page here. If you don’t happen to win, or you’d like more tickets, you can purchase them through the Junior League of Hampton Roads here. Good luck, and I hope to see you there! In case you didn’t know yet, I started a business. It has its own federal tax ID number. It also has a checking account and a business debit card. 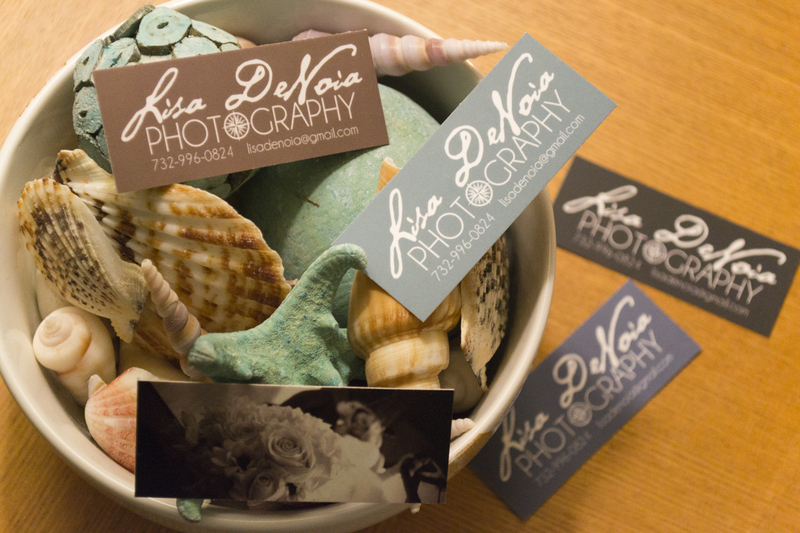 But, more importantly, it has these business cards and a few contracts in the works already. 5. It’s not my Droid 2. 4. Apparently, I can blog on it. 3. It’s white, and therefore cooler than everyone else’s (for now–until everyone else gets a white one or until Apple starts making orange ones). 2. I finally have Instagram (and I’m following my mom). 1. I can FaceTime with my grandma.